The Graphic Designing Invoice is issued by the service provider. If you are a freelancer you can raise an invoice too. The Sample Invoice document will have the work done, the work type, the number of projects done, and cost of each project followed by the total amount.In case of a company the company name, address and logo will be at the top along with the bank details, digital signature and terms and conditions (if any). In case of a freelancer it will have all the details except the company name and logo.Select from a wide range go Graphic Designing Invoice Templates. They come in both word and PDF format. 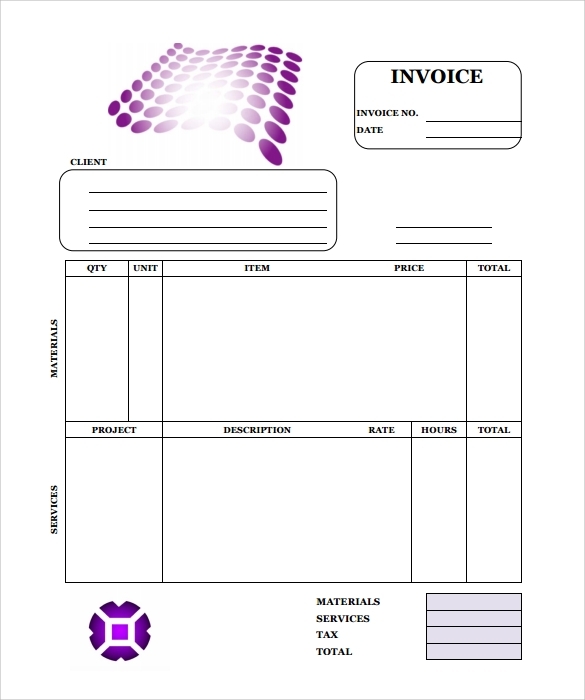 This invoice template is very easy to use and very useful for professional involve in graphic designing. This invoice can be used by just putting the individual designer’s logo or company name on the top of it. These templates are designed by professional to help the graphic designing professionals while raising the invoices. This templates is in the form of an agreement and also suitable for raising invoice. It is very good template to put all the requirement discussed during taking the work assignment on a single paper with price and later the same document can be used as invoice. There is enough space given in this template to write all the item wise rates and charges for services. 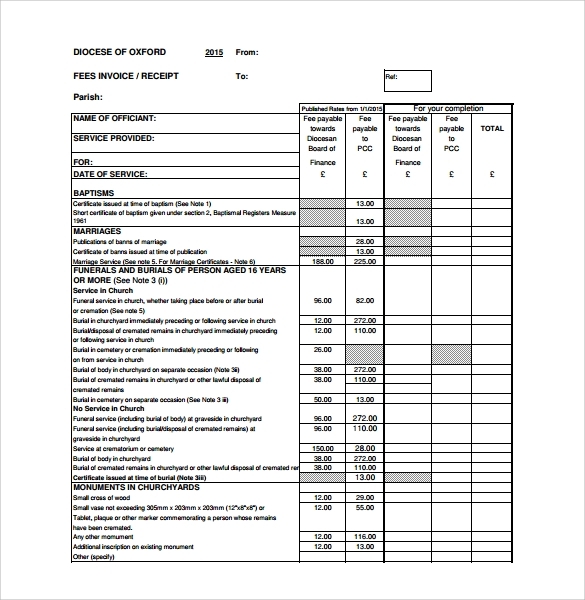 This invoice format is containing basic details about the job given and rates for the same. This Template can be easily edited and given to the client. 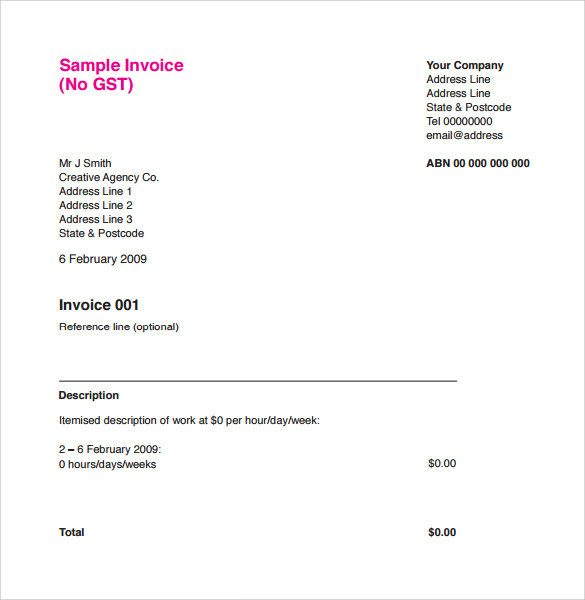 This templates looks like a computer generated invoice provide a stature to any individual or company working in graphic designing. Details like company name, address, and website are neatly given on the top right corner of this template and rest all the details are well aligned in entire document. 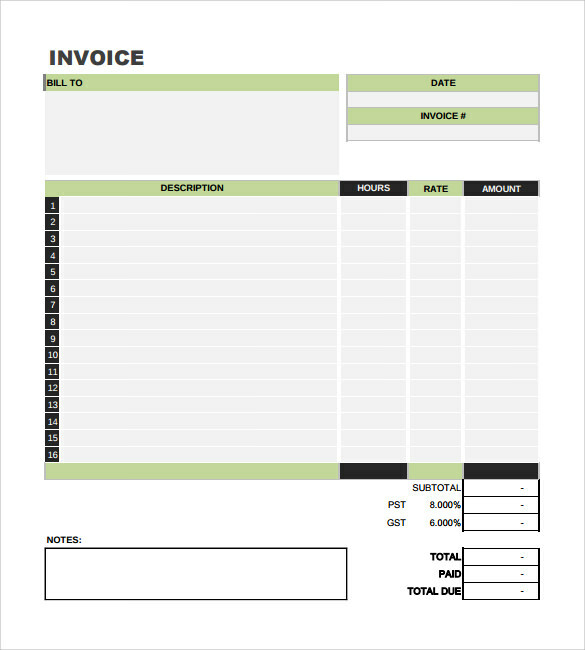 This template is a simple yet effective template for raising the invoice by any graphic designer individual or company. It consist the cells like ms excel and adequate space is provided in these cell to put all the relevant and required things. At bottom of this template space is given to write additional details like job description or any special comment regarding the work. 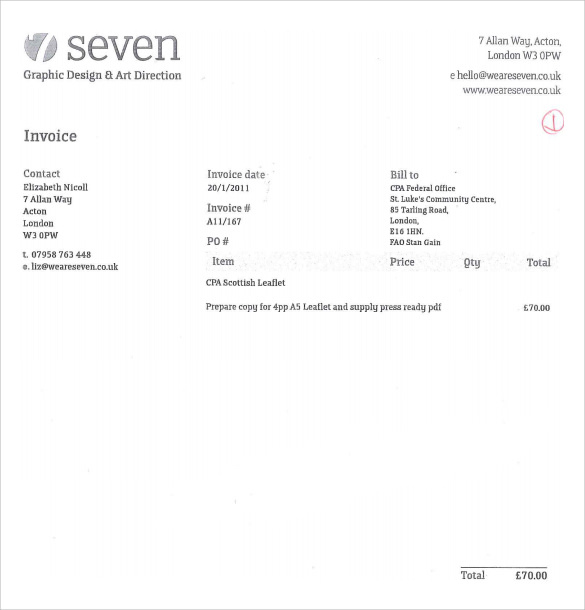 Why do you need a Graphic Design invoice Template? Graphic designing is a creative work and there are lots of professionals working in this field as freelancer. Also hiring an accounting executive costs a lot to these guys when there is not too much work to be done by them. 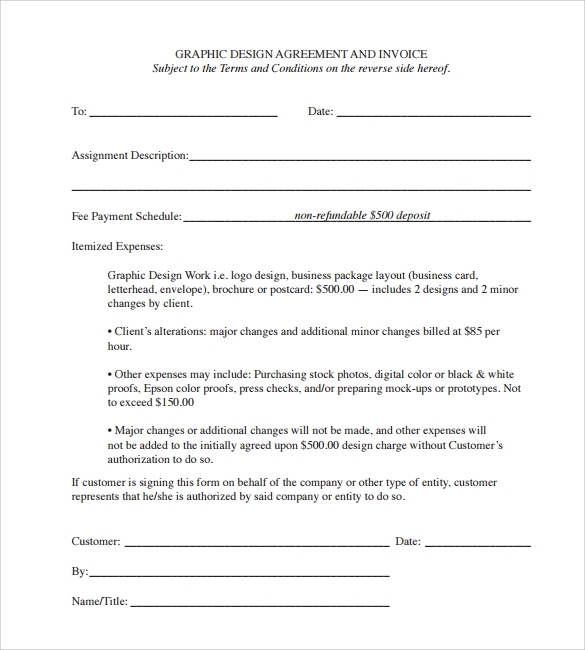 When do you need a Graphic Design invoice Template? 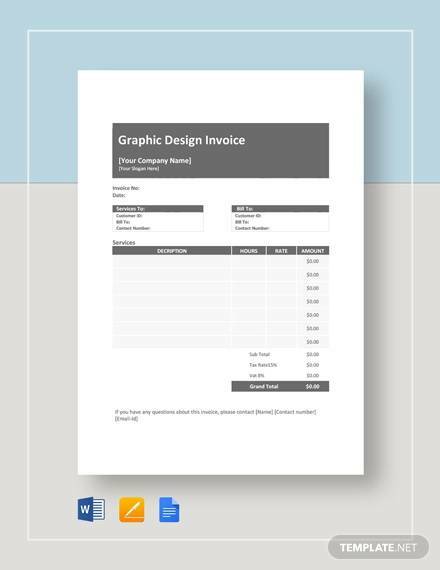 Graphic design invoice template is very useful while taking the work from a client and also post assignment to raise the invoice to the client. There is always a requirement of an invoice template to raise the invoice and also to record the same in a professional manner for other tax related purposes. Companies also prefer to give work to those freelancers who work like professionals and provide all relevant documents in standard formats. You may like Commercial Invoice Templates. Benefit of Using Membership Certificate Template? 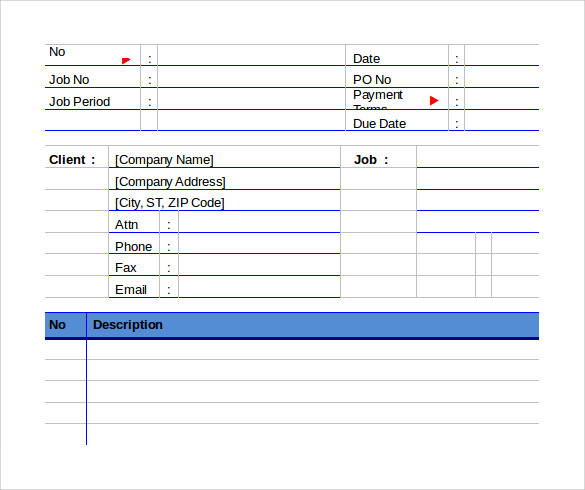 Raising an invoice in a professional template always gives a boost to image of an freelancers or an company. These templates are here to provide help to individuals or companies who are seeking the help in creating a standard format for their invoicing related work.